Going to a Disney theme park this summer? Leave your selfie sticks at home, kids, because Disney is banning them at its parks around the globe. All Disney parks in the US won't welcome the wands beginning June 30, while the ban will roll out to Disney parks in Hong Kong and Paris on July 1. Disney will add the ban to the parks' rules post on its website, and visitors will be warned with announcements in public locations around the parks, such as parking lots and hotels. Anyone found with a selfie stick during routine bag checks at park entrances will be told to turn it in for pick-up later, or told to return it to their car or hotel. Selfie sticks have so far been prohibited on certain rides across Disneyland and Disney World for safety reasons, with signs and employees warning visitors and rule breakers. According to news reports, a few days ago a Disneyland roller coaster was stopped for an hour and riders evacuated when someone pulled out a selfie-stick mid coaster. 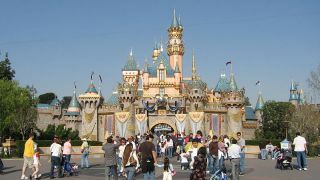 The entertainment giant says the blanket ban is due to safety concerns, though it wasn't prompted by the recent Disneyland incident alone. "We strive to provide a great experience for the entire family and, unfortunately, selfie sticks have become a growing safety concern for both our guests and cast (employees)," Disney spokeswoman Suzi Brown told The OC Register. Disney joins a list of other companies, museums and organizations banning the selfie stick in public spaces and events. Earlier this year, Apple banned the selfie stick for its WWDC developer conference.